CANBERRA fans will have to wait two more weeks before they get a glimpse of new halves combination Jack Wighton and Aidan Sezer. Wighton confirmed on Monday he is open to making a permanent switch from fullback into the five-eighth role. 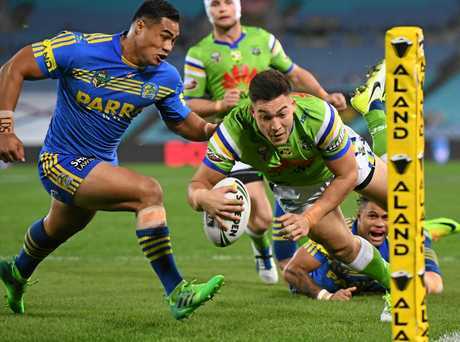 But it is unlikely coach Ricky Stuart will roll out the new combination on Friday night in his side's first trial match against Parramatta at St Marys Oval in Sydney's west. The Raiders will use the trial as an opportunity for younger players on development and train-and-trial contracts to press their case for selection. Some of the club's new recruits are also a chance of featuring, former New Zealand Warrior Charnze Nicoll-Klokstad and former Wigan Warrior Ryan Sutton could get a run. However, fellow English recruit John Bateman won't take the field. 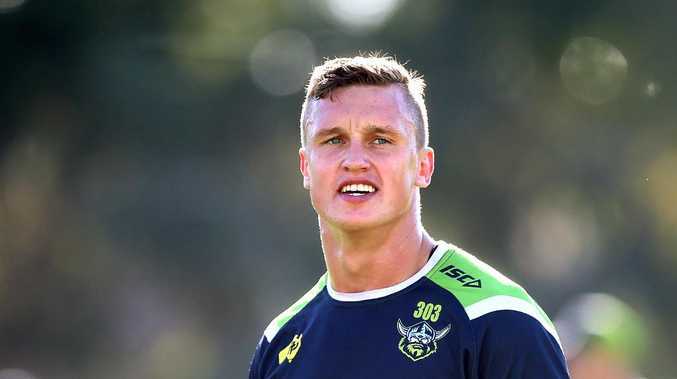 Nicoll-Klokstad has been vocal about his ambitions to play fullback, meaning Stuart will have a selection dilemma on his hands with Nick Cotric and Brad Abbey already the top contenders to replace Wighton if he does make a move into the halves. 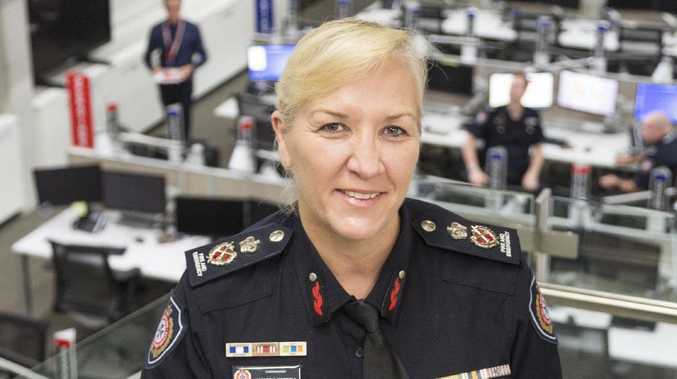 A squad of about 22 players will travel to Sydney for the trial. Stuart will name close to a full squad the following week against Canterbury in Bega. 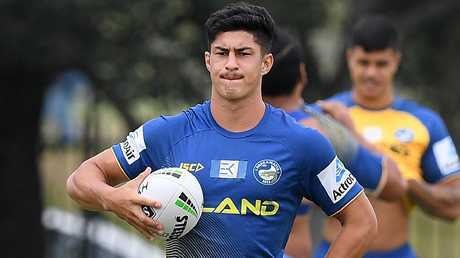 It will be a similar scenario for Parramatta with coach Brad Arthur likely to save his first choice outfit for their second trial against the Penrith Panthers. But Eels fans could get their first glimpse at up-and-coming youngster Dylan Brown. The five-eighth is expected to spend some time on the field in a bid to get in as many minutes under his belt as possible before round one. Youngster Dylan Brown is set to see action for the Eels in the NRL pre-season. Blake Ferguson, Bevan French and Brad Takairangi will feature in Friday's Indigenous v Maori All Stars match in Melbourne and won't be available. Manu Ma'u, Will Smith, Nathan Brown and Kane Evans and fringe first-graders Greg Leleisiuao, Mika Sivo and Ray Stone will also miss out - they travel to Alice Springs this week to conduct skills and coaching clinics for young fans.